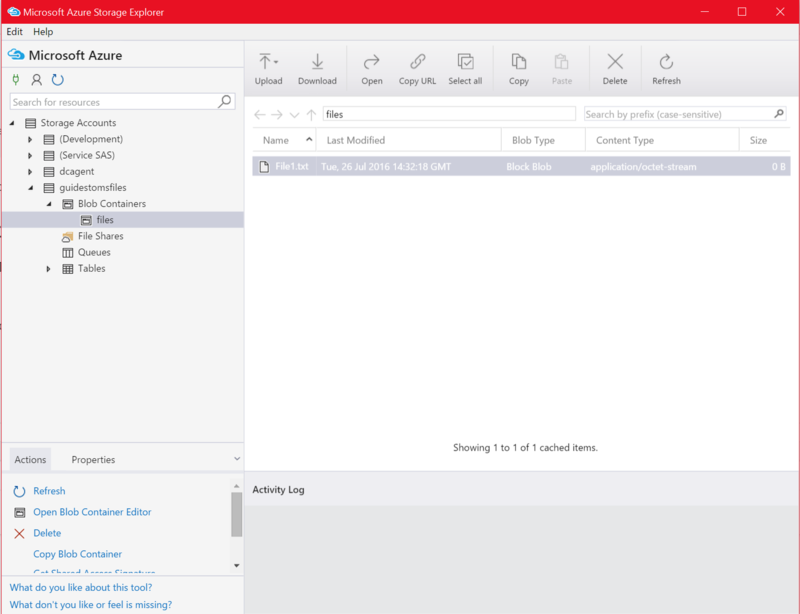 In this post I will show you how to create blob storage in Azure with PowerShell. Azure blob storage is great for storing large amount of data that is accessible from all around the world through HTTP or HTTPS. 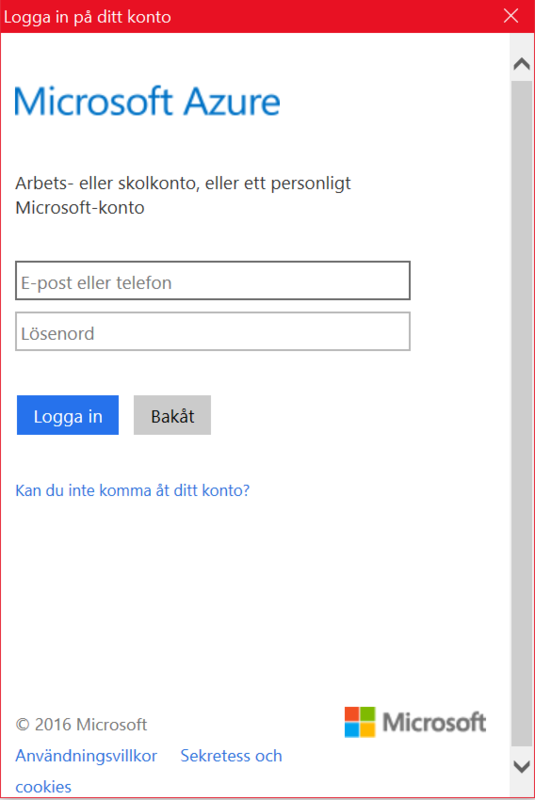 When Azure PowerShell has been installed, we need to connect to our subscription in Azure. New-AzureRmResourceGroup -Name Storage -Location "westeurope"
In the above example, I’ve created a Resource Group called “Storage” in the west Europe region. Now that we have a resource group we can continue to create our storage account and our blob storage. New-AzureRmStorageAccount -ResourceGroupName "Storage" -AccountName "guidestomsfiles" -Location "westeurope" -Type "Standard_LRS"
As you can see, I created the storage account in the resource group we created earlier, giving it the name “guidestomsfiles”, placed it in the same region as earlier and specified it to be a standard locally-redundant storage. With our storage account created, we now need to get the storage account key. We need this to be able to create our container. $storagekey = Get-AzureRmStorageAccountKey -ResourceGroupName "Storage" -Name "guidestomsfiles"
In the above line, I specify the name of the resource group and the name of the storage account. Next, we need to save the context that we will run in a variable before we can create the blob container. Again, we specify the name of our storage account, the key that we stored earlier in “$storagekey” and which protocol to use. In the above example I named the blob container “files”, specified it to be a Blob and then pointed to “$context” for context. Well, so now we have a blob storage where we can upload and download files to and from. But how do we do that? First we get the resource group and the storage account and then pipe to the container called “files” that we created earlier and specify the file. Now we have uploaded our first file to our blob storage! Get-ChildItem –Path C:\temp\* | Set-AzureStorageBlobContent -Container "files"
If for some reason you prefer a GUI, sometimes it could be useful, you can use Microsoft Azure Storage Explorer found HERE. This tool allows you to upload and download files to your blob container and lists all available storage accounts in the same place. I hope this guide will help you out there to get started with storing files in Azure. Even though everything shown above can be done in the portal directly, I strongly advice you to use PowerShell instead. It might seem like it takes longer to do it this way, but when you have your first script in place, it’s just a matter of changing the name of variables to quickly setup new containers. This entry was posted in Powershell and tagged Azure, Azure PowerShell, Blob, Container, Powershell, Storage. Bookmark the permalink.